It has been 3 months since the last time I have posted. So many things have happened both good and bad. My weight loss journey has been going great. I am down a total of 126lbs since surgery on July 13, 2015. I am now in a size 16 in jeans and some larges in workout gear. Training has taken a back seat to injuries, but I am getting stronger and working my way back. I have already signed up for 3 races with the first one in April. It is the first and only race that I did last year before surgery. June 12, 2016 Athena National Championships Grand Rapids, MI Athena Sprint. August 2016 Wood River Triathlon (this one is still a maybe). Time to get busy and reach my goals!!! Only 25 lbs from my weight loss goal and my racing goals are starting to take shape. 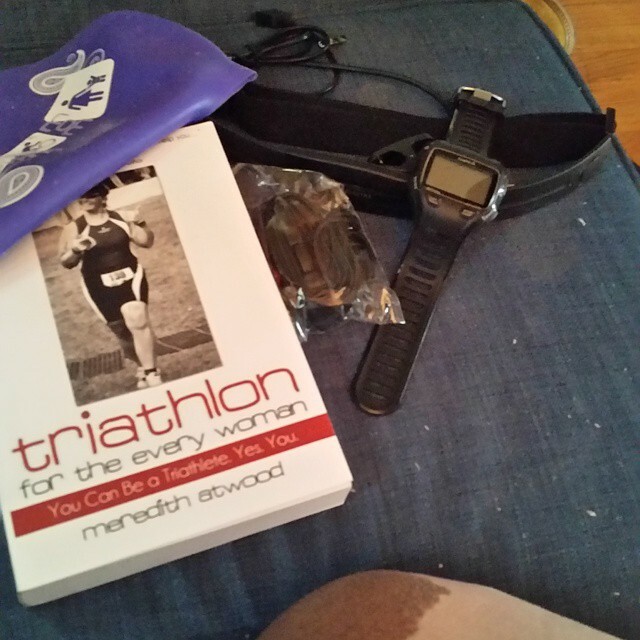 This is my friend Emily’s race report from her first Ironman. She is a big supporter of my journey. Santa, UPS delivery person, came to my house today. OMG!! I am so excited. Let me explain. A few weeks ago @swimbikemom head a contest for other athletes to donate their used Garmin’s or other watches that will track by GPS your run, bike and swims. I entered the contest each and everyday, not thinking that I would get one. Guess What????? I WON A GARMIN 910TX with heart monitor. I could not believe it. Then she had another contest for Roka swimming goggles and I won one of them also. I got everything today in the mail and by Santa. I truly believe that God is trying to tell me something and I am starting to listen. My wonderful friend Heather Tolley Bauer got me the book by Meredith Atwood and she signed it too! I am so blessed with wonderful friends. Most of the world does not know that when it comes to equality the triathlon world, Ironman, is far behind the 8 ball. I will write more on this subject in the near future. With my thoughts on the subject as a person that will NEVER make to Kona or be a professional. LP: Hello, Mr. Messick! Can you spare a few moments for me? AM: Of course! Come on in and pull up a chair. What can I do for you? LP: Well, I’d like to race in the championship at Kona. As you can see, I have a formidable resume. I won 5000 Kona points in four races. I would like to welcome each and everyone to my new blog. I have just started my training and wanted to keep an account of where I have been and where I am going on the roller coaster ride call Triathlon. 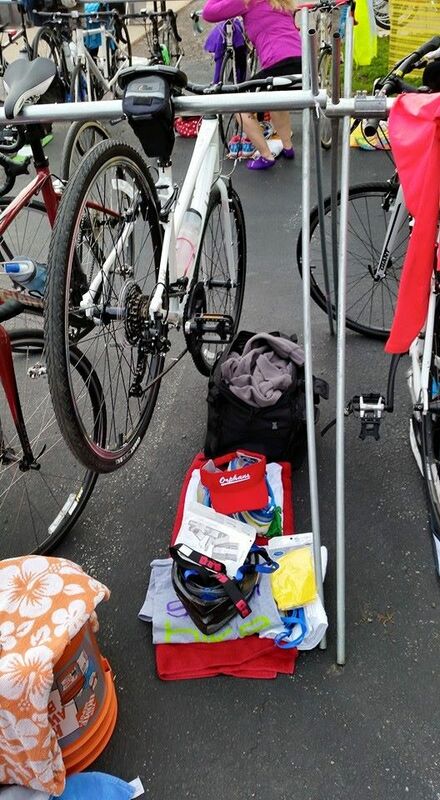 On April 26, 2015 I completed in my first Super Sprint Tri in Edwardsville, IL at SIUE. I was very proud of myself and the results that I got. I am very impressed with myself especially with the Bike. I dropped my chain twice and had to walk up 2 hills. Of course I had the most fun coming down the hills. I kept wanting to squeal WEEEEEE! Just needed to have streamers to my handlebars. Happy with the run, which I walked also.